The full story of seabirds from one of the greatest nature writers. The book looks at the pattern of their lives, their habitats, the threats they face and the passions they inspire - beautifully illustrated by Kate Boxer. Seabirds are master navigators, thriving in the most demanding environment on earth. 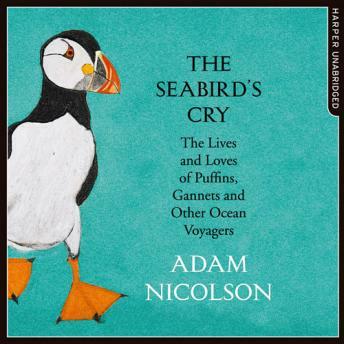 In this masterly book, drawing on all the most recent research, Adam Nicolson follows them to the coasts and islands of Scotland, Ireland, Iceland, Norway, and the Americas. Beautifully illustrated by Kate Boxer, The Seabird's Cry is a celebration of the wonders of the only creatures at home in the air, on land and on the sea. It also carries a warning: the number of seabirds has dropped by two-thirds since 1950. Extinction stalks the ocean and there is a danger that the grand cry of a seabird colony will this century become little but a memory.